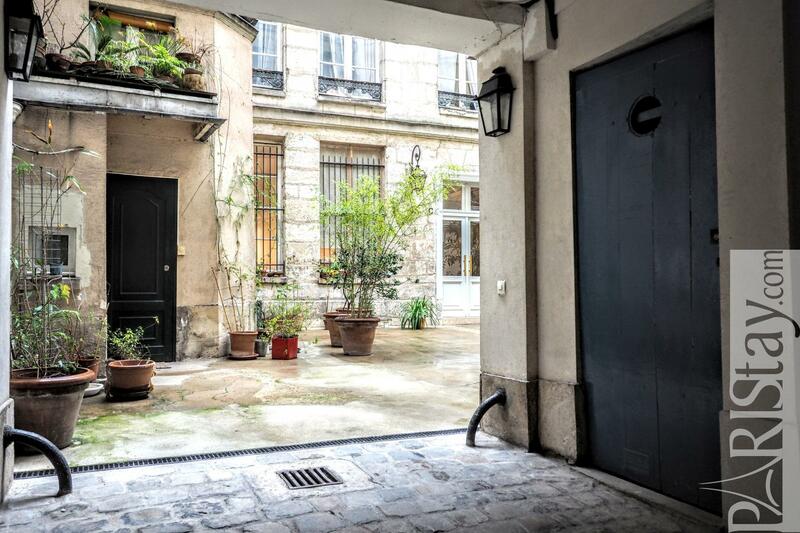 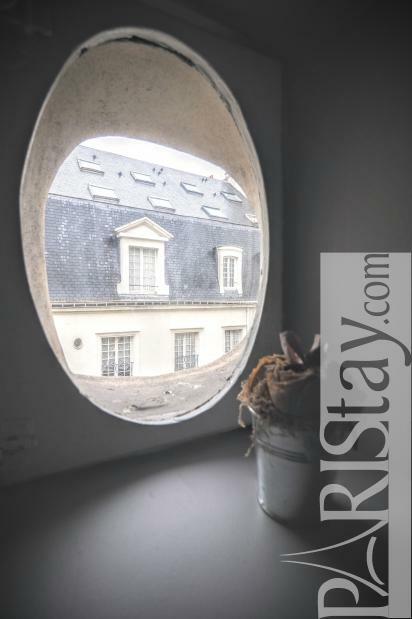 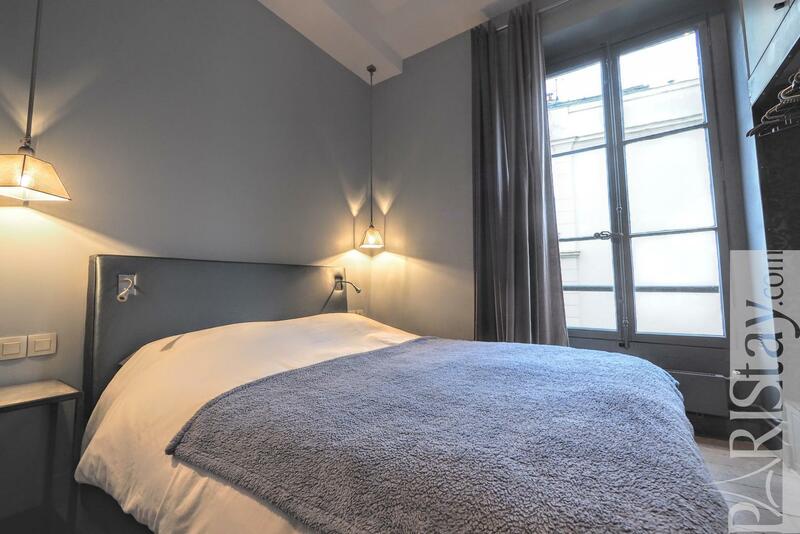 A must-where-to-stay in the heart of Le Marais. 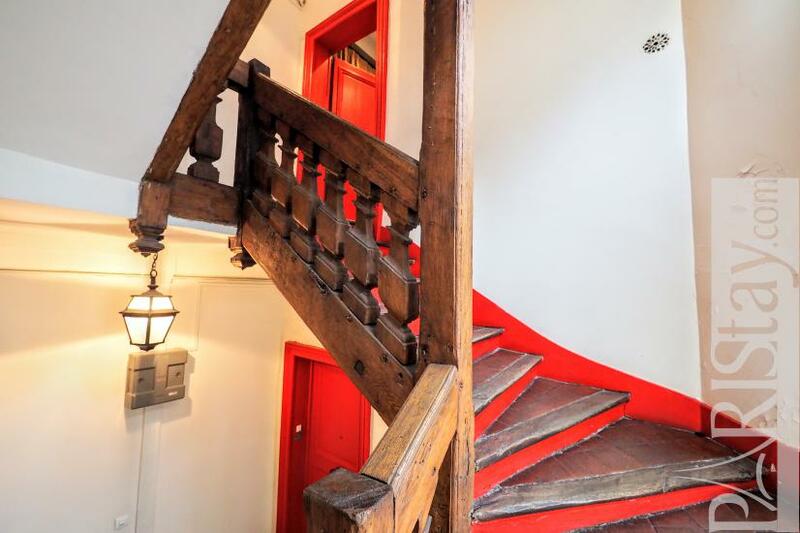 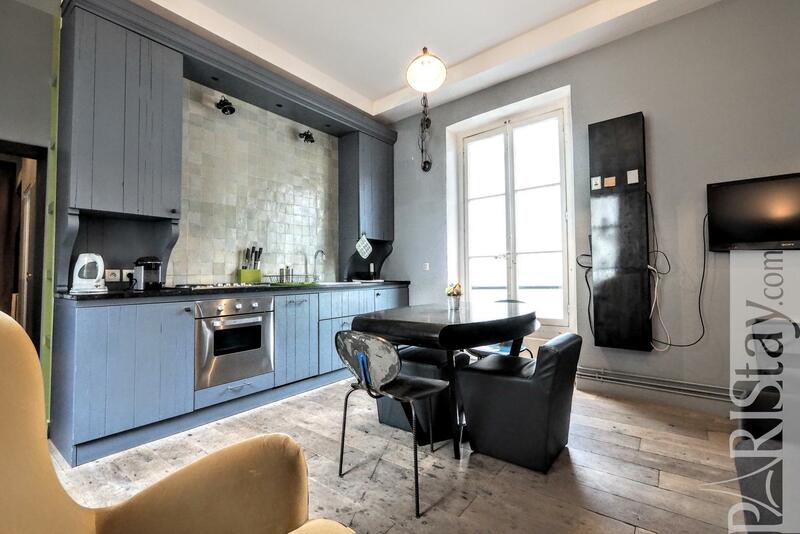 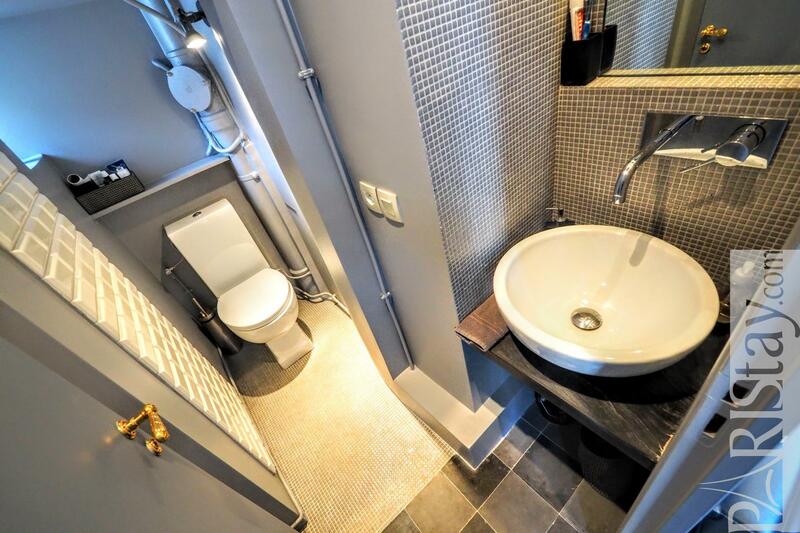 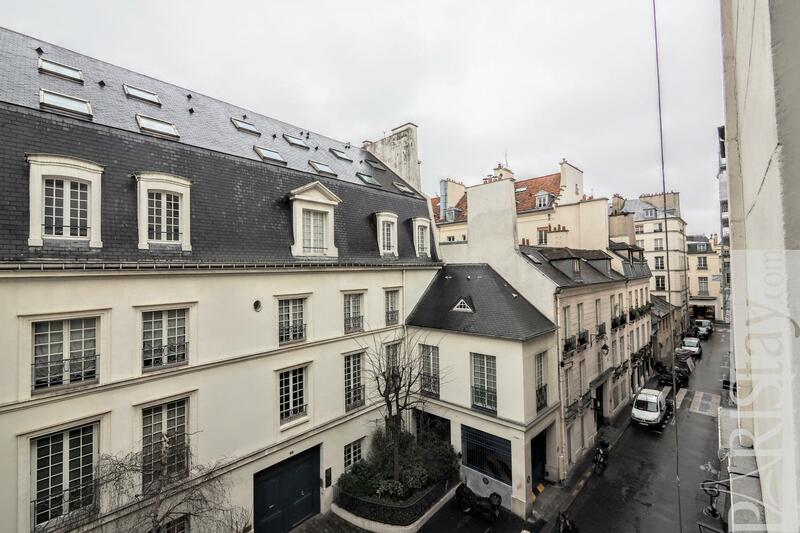 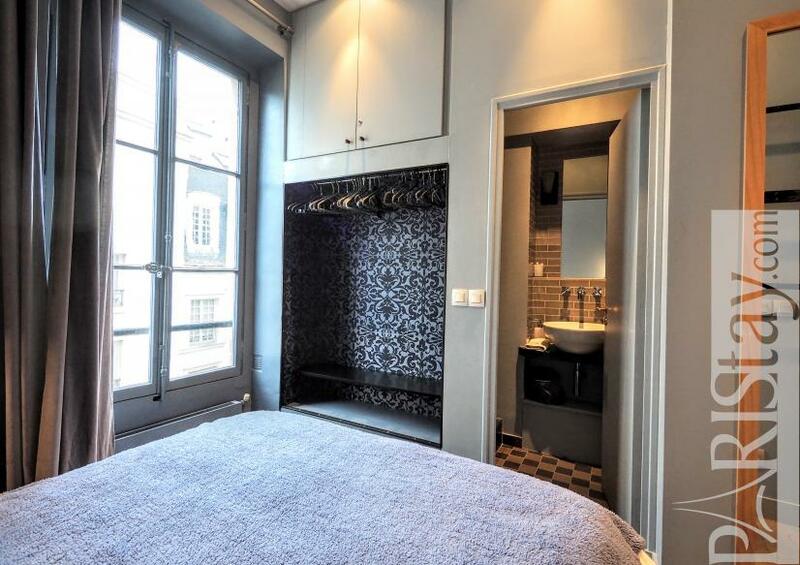 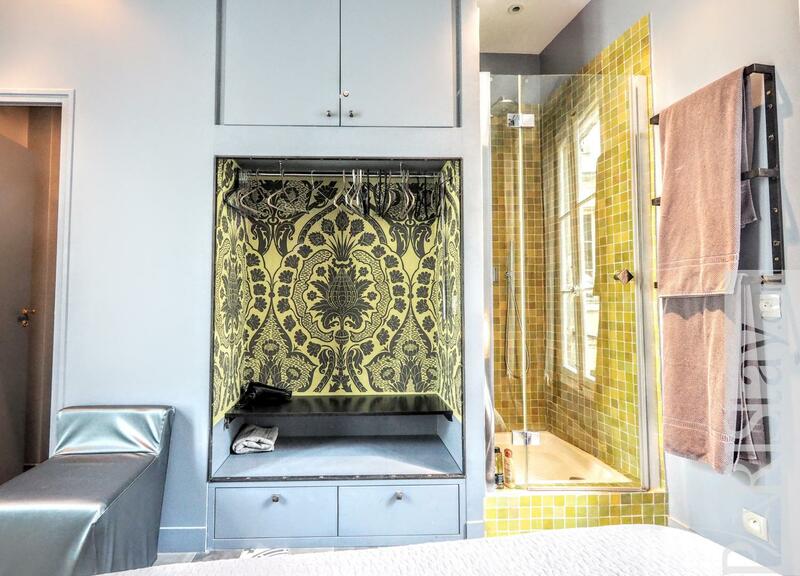 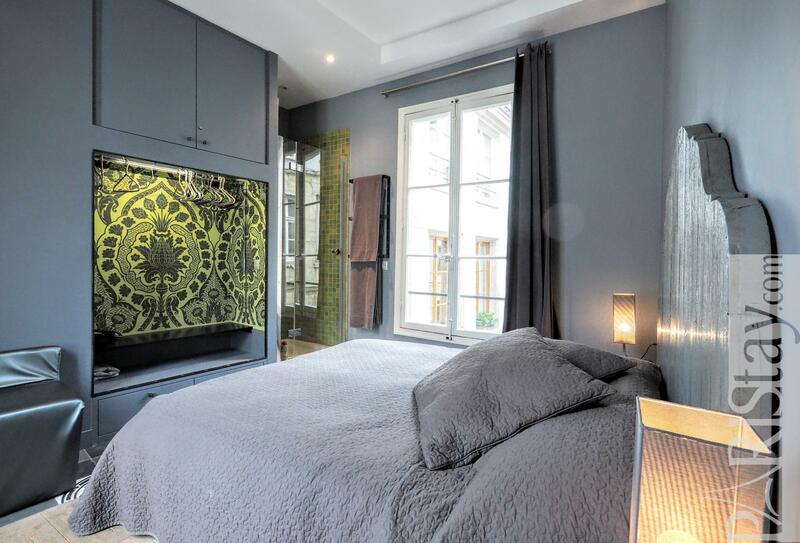 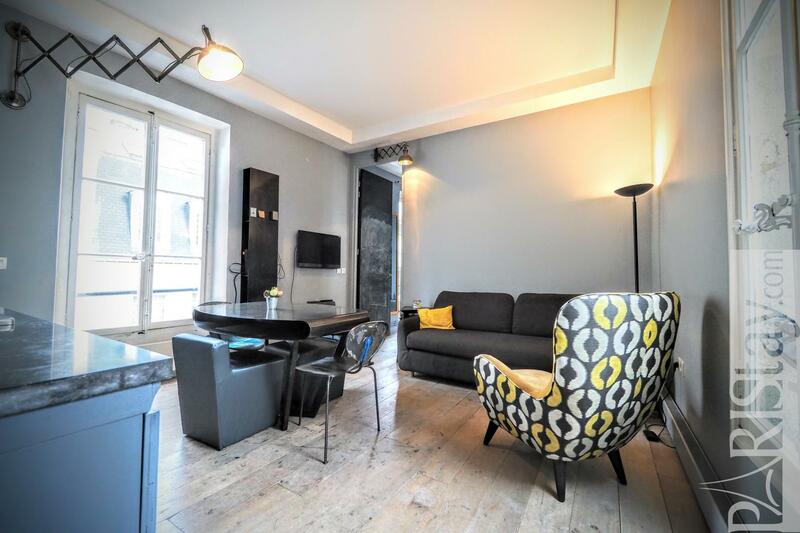 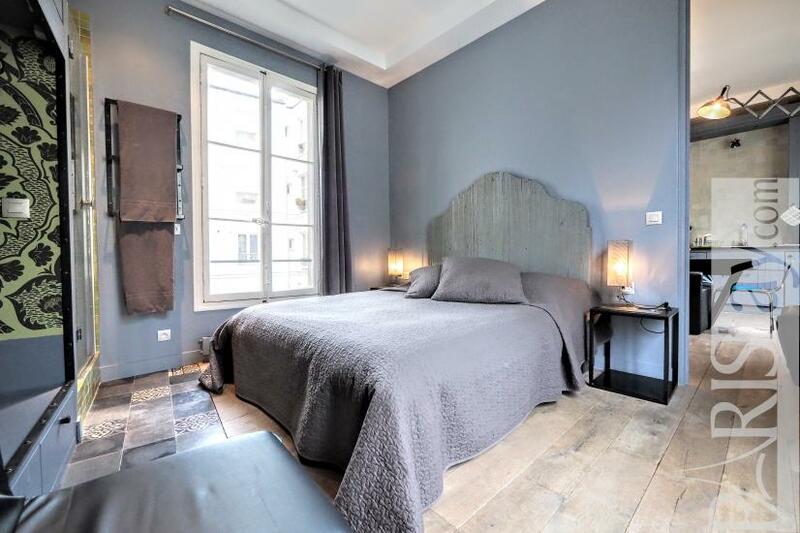 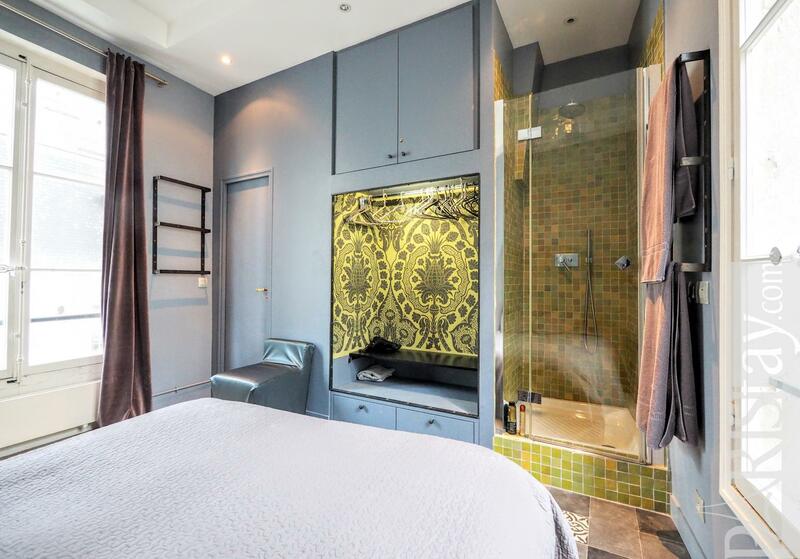 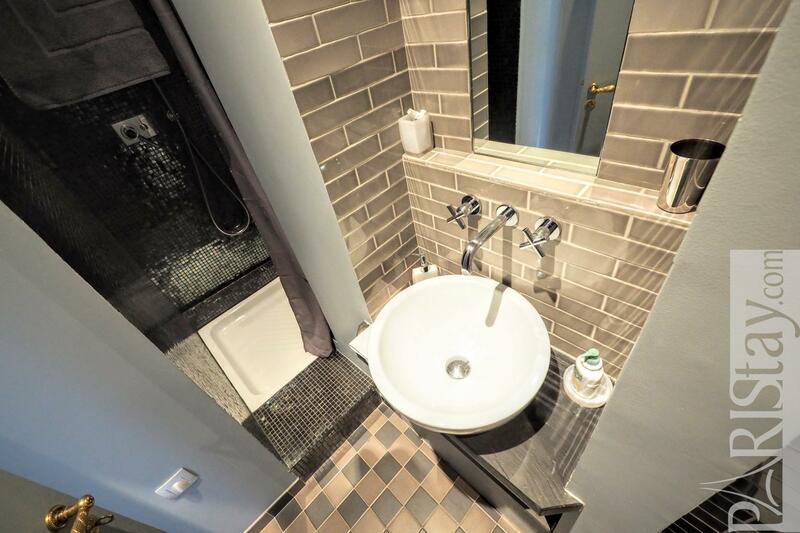 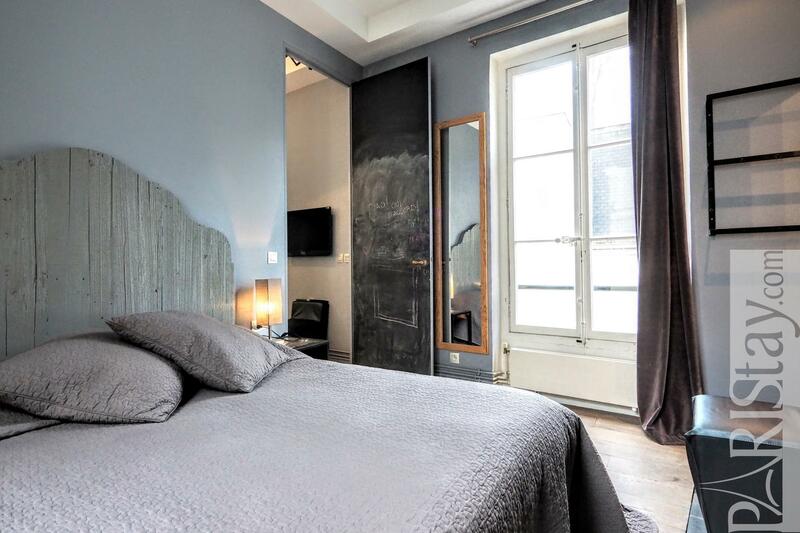 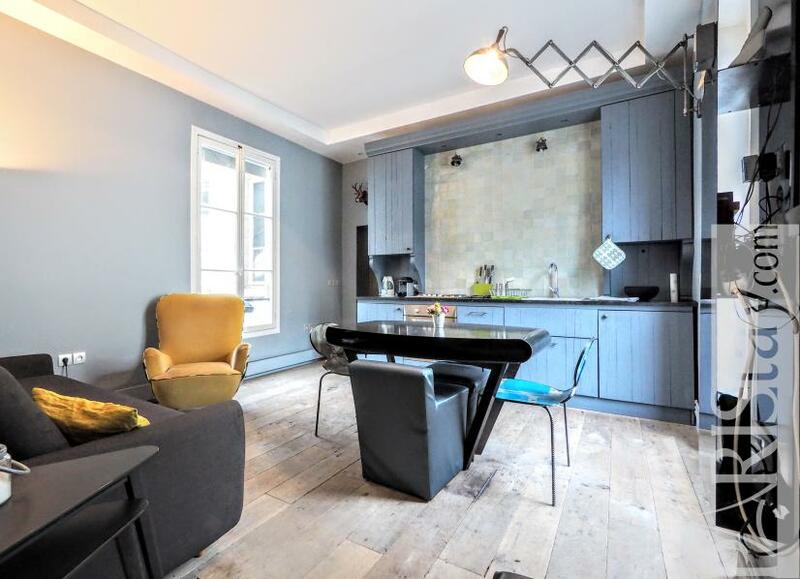 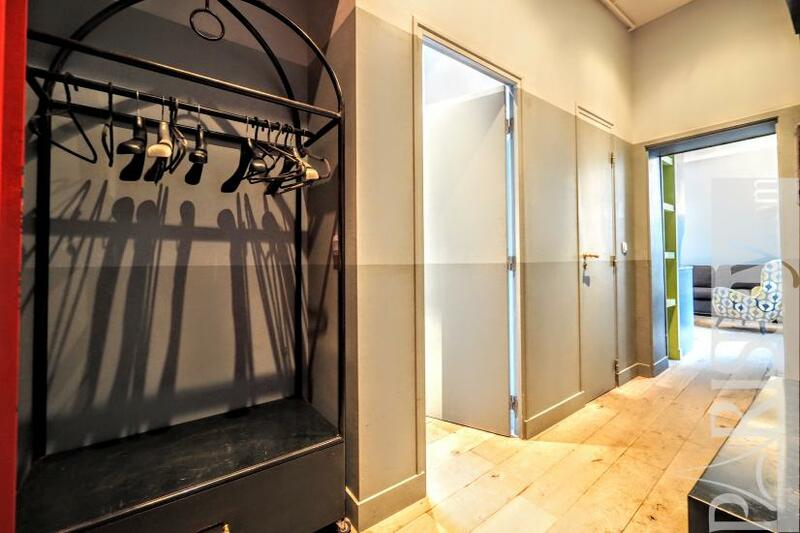 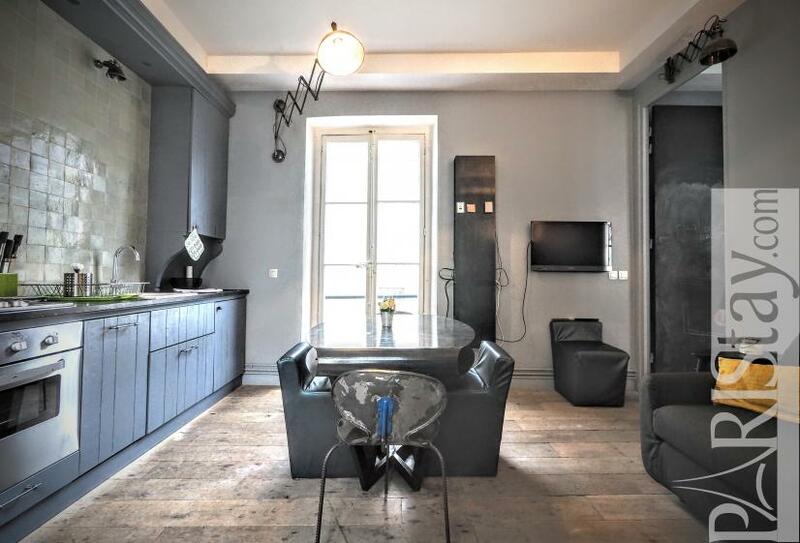 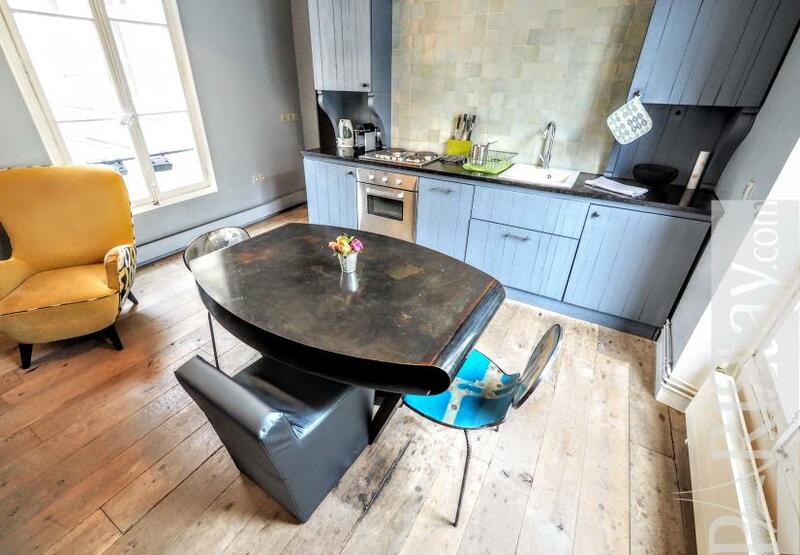 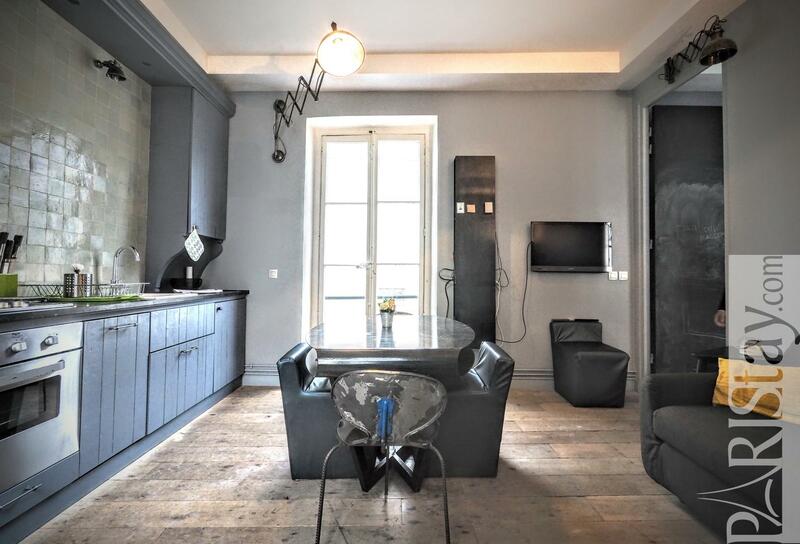 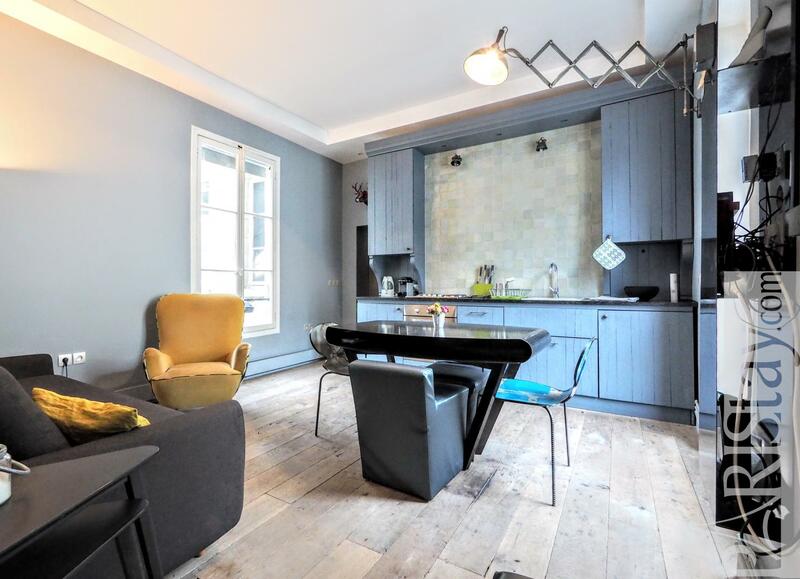 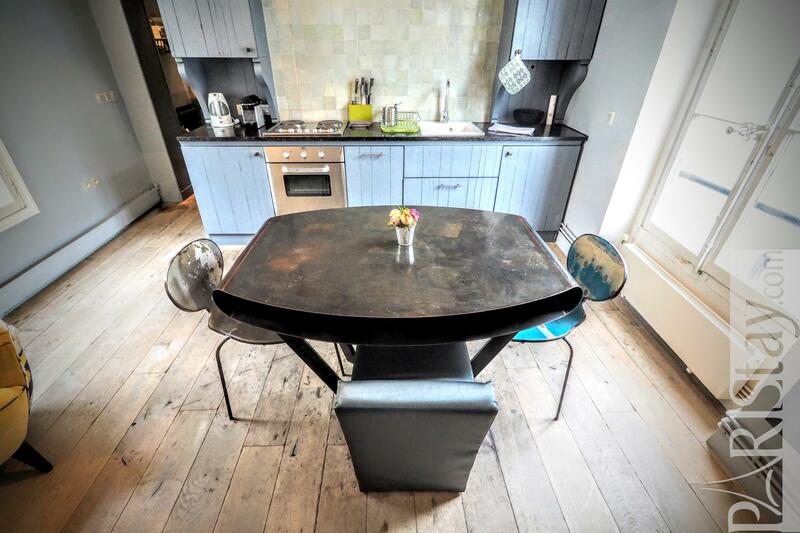 This luxury parisian apartmental rental located next to Place des Vosges in the best Le Marais area will be a perfect choice for your next long stay rental in Paris. 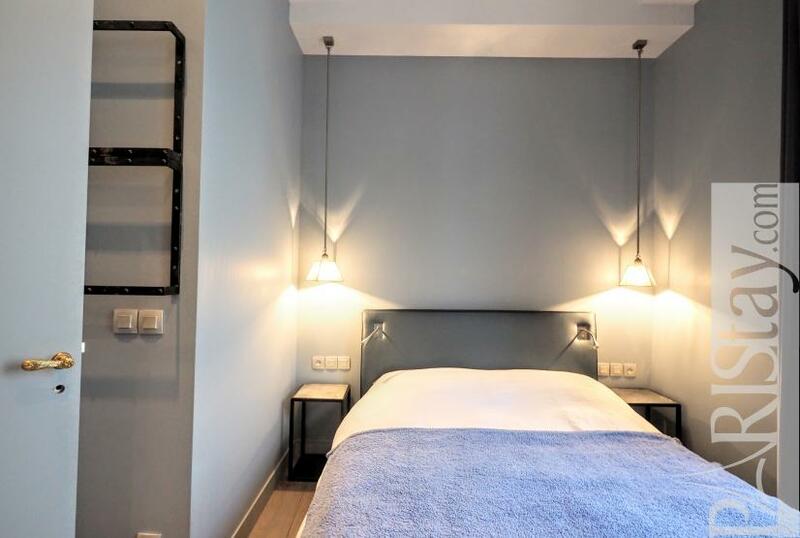 The apartement has been designed and decorated by an italian architect who loves mixing industrial materials and the warmth of refined fabrics and shades. 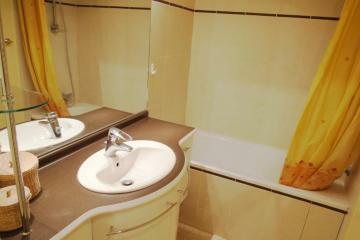 Her talent expresses the place that offers, charm, quality equipment and services in a convenient floor plan. 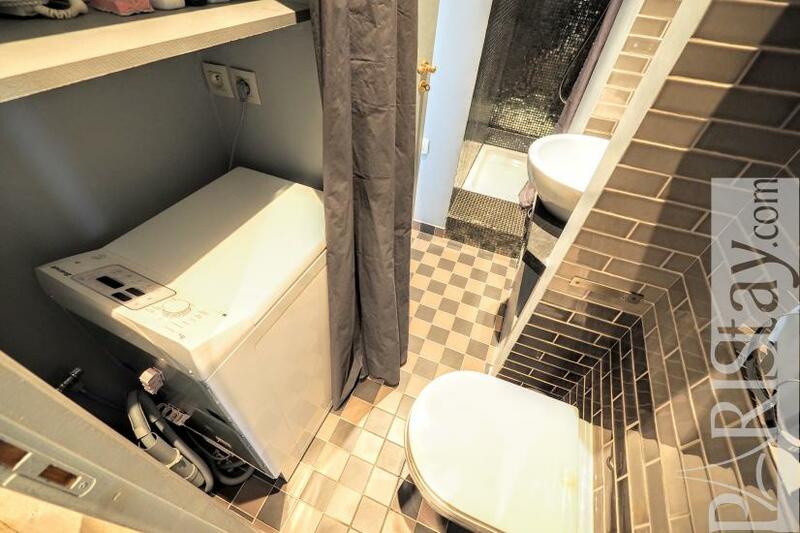 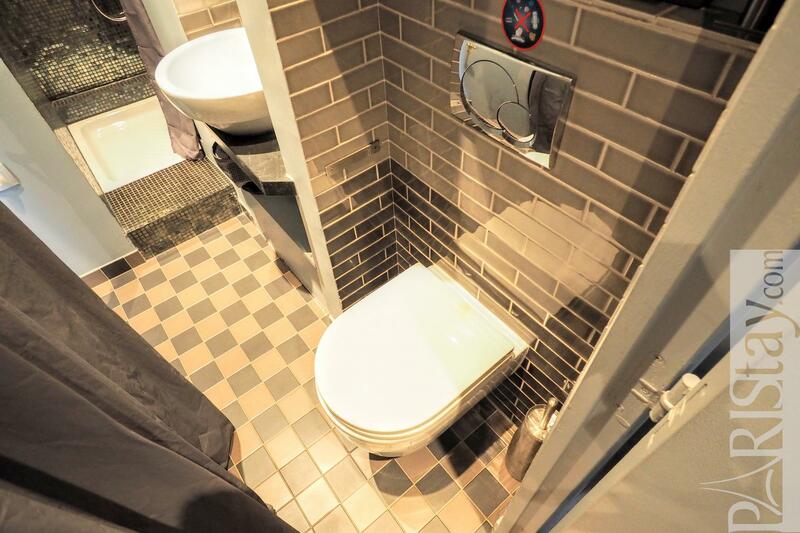 A spacious entrance with 2 cupboards leads to a first bedroom which has its private shower room with toilet, a separate toilet for guests, and to the spacious and bright living room offering an american kitchen. 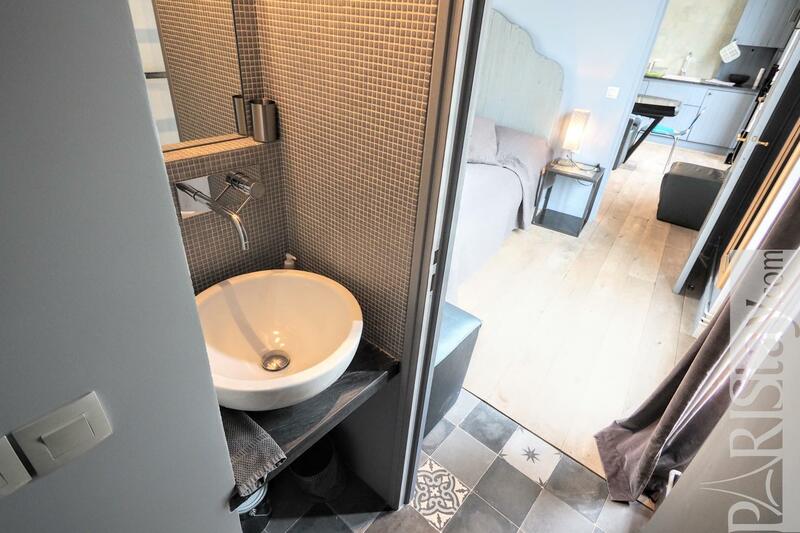 The second bedroom offers a comfortable double bed, 2 windows and 2 doors, one to a private toilet with a sink, the other door is the glass door of a shower. 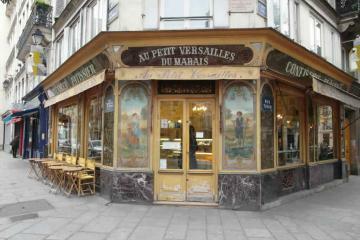 A charming place. 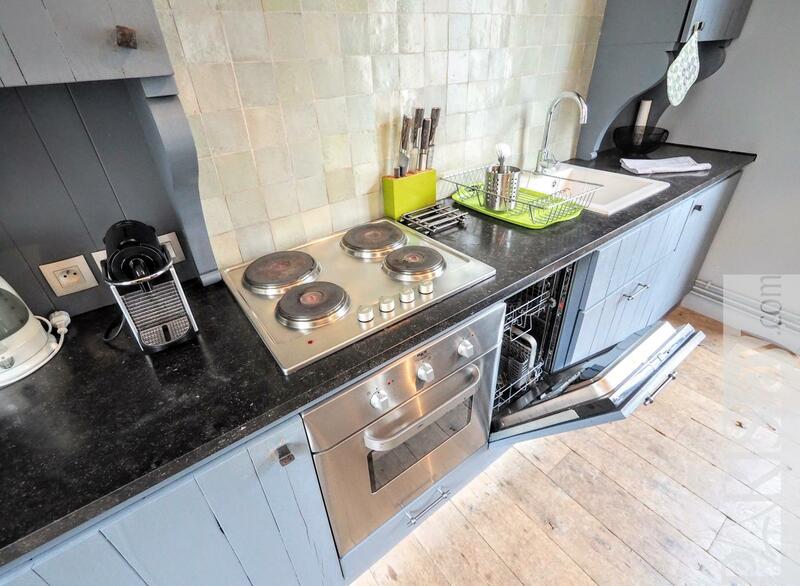 Please, send us a requyest to check availibility. 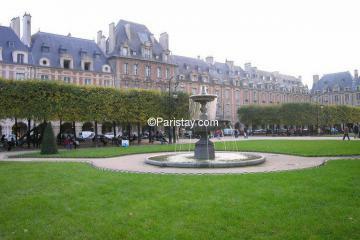 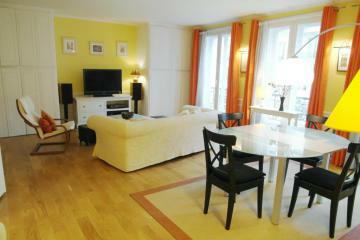 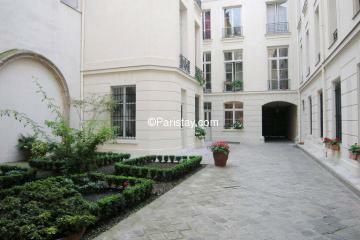 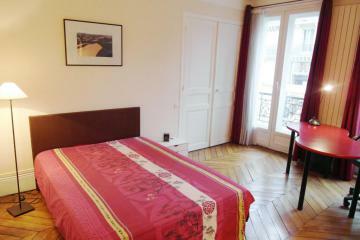 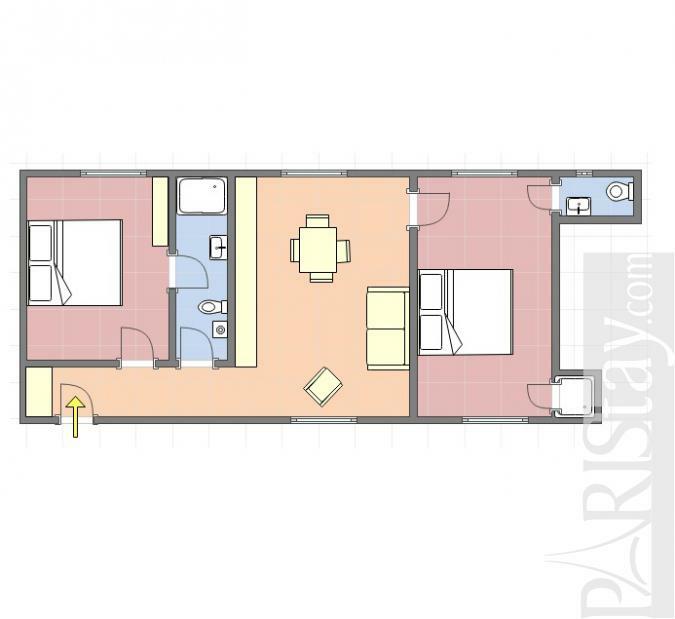 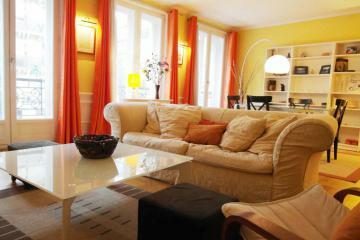 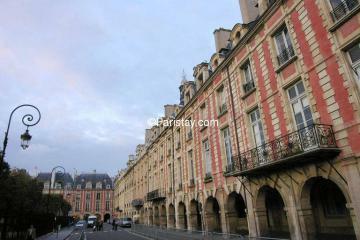 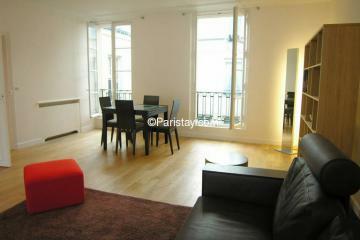 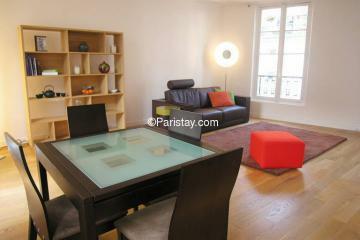 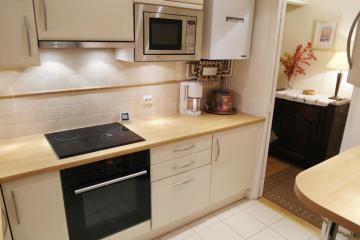 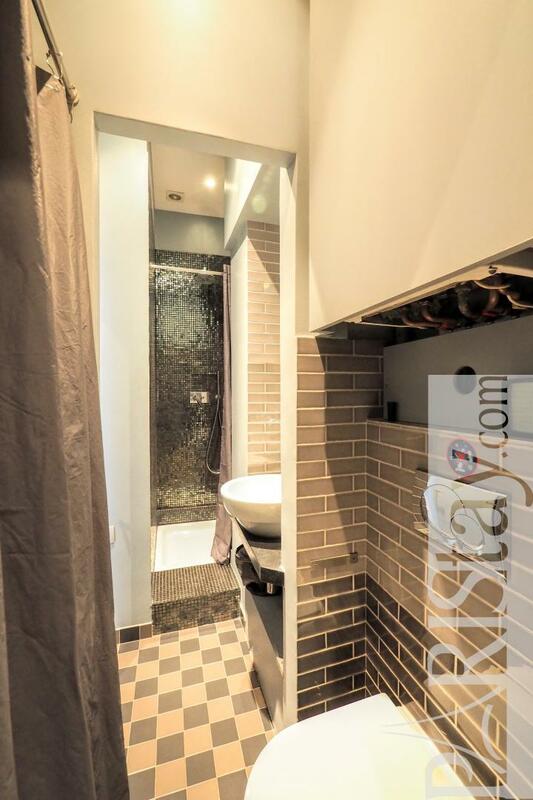 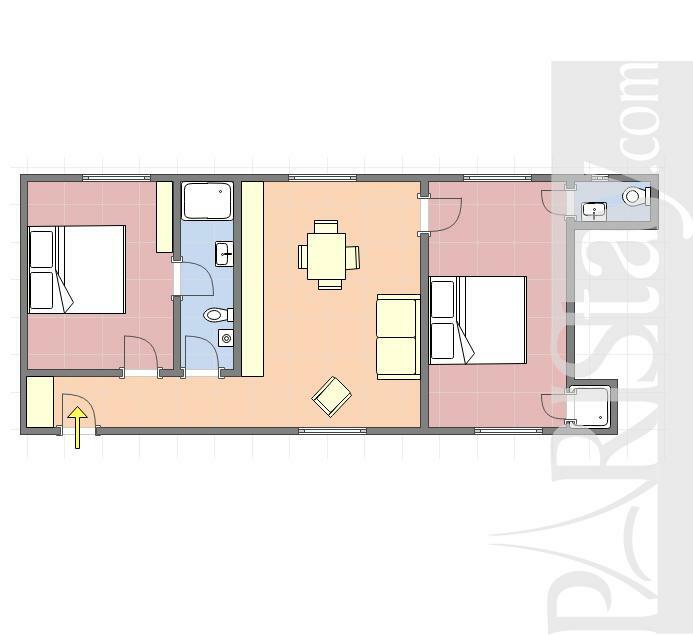 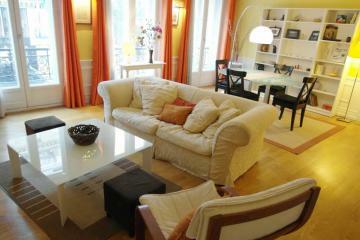 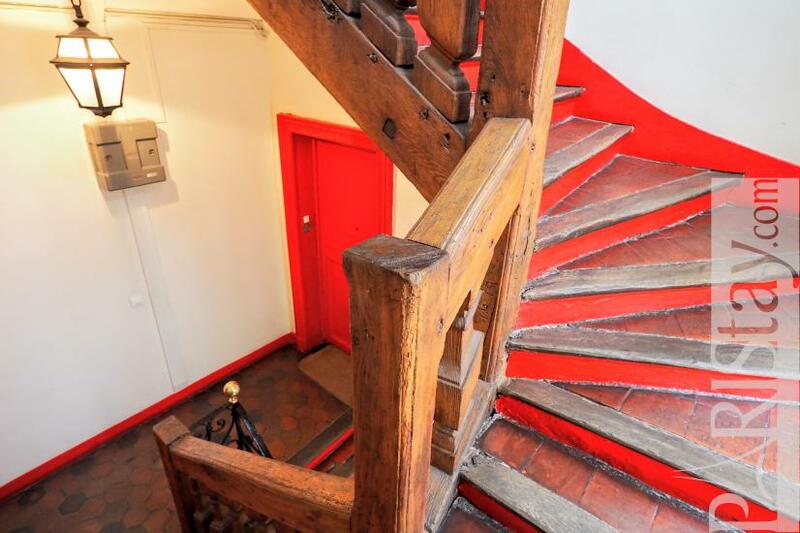 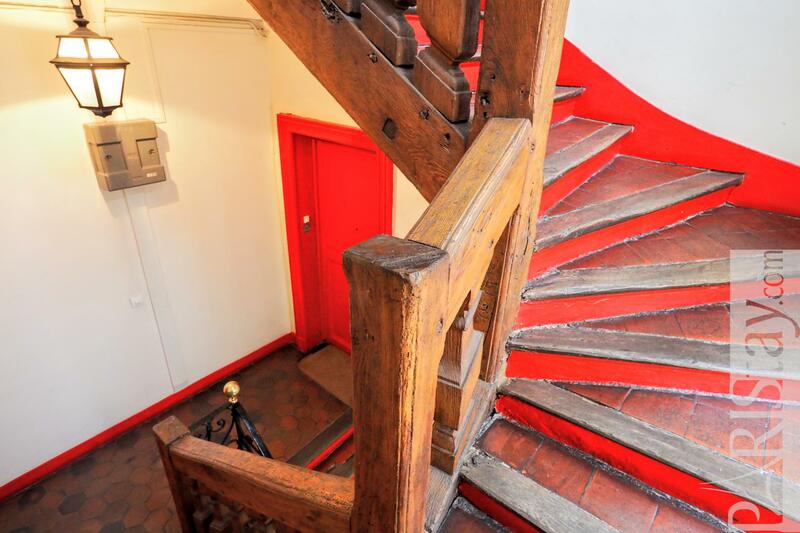 3 th floor, without Lift, 2 bedrooms Appartement, furnished, Approx: 60m² / 645 Sq.Ft.